Search engine optimization (SEO) involves the whole process of helping websites rank higher for paid and organic search in search engines results pages (SERP). SEO is basically geared towards improving websites’ visibility on the internet. This is a business that has a constantly evolving dynamics, and if you’re a professional SEO builder, you need to always be on your toes, learning new skills every year to ensure better web ranking for your clients. 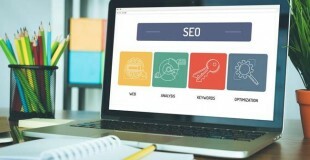 If you are considering starting your own SEO business to help websites improve visibility and get better ranking on SERPs rather than working for someone, then this article will help you get started. You need to have some SEO expertise before you can hope to help customers improve their websites’ traffic. For some, this learning process can take a long time, especially if they don’t really have prior knowledge of working with websites, analyzing internet traffic, writing articles and social media marketing. One of the most important skills you will need to learn before you venture into the SEO business is recognizing and analyzing keywords people are using to search for products and services online. You can take advantage of PPC advertising to see the common keywords people use and what attracts a users’ attention in paid search results. You will also need to learn how to write high quality articles that contain relevant keywords. 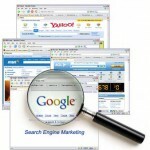 To rank your content well on search engines, it has to contain keywords that users are searching for. These keywords should appear in the page title, headings and main content. You will also need to learn how to understand and use Google analytics and other similar analytics programs. This will help you determine the effectiveness of your SEO strategies and discover which of them is giving the most results. Social media has a lot of influence on the effectiveness of your SEO program; therefore before you can qualify as an SEO expert in your business, you need to understand how to make social media work for you. 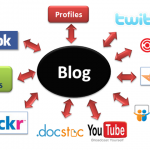 An SEO expert must be able to manage blogs, user interaction and posts on social media platforms. If properly done, social media can generate more web traffic which can lead to a higher page ranking. 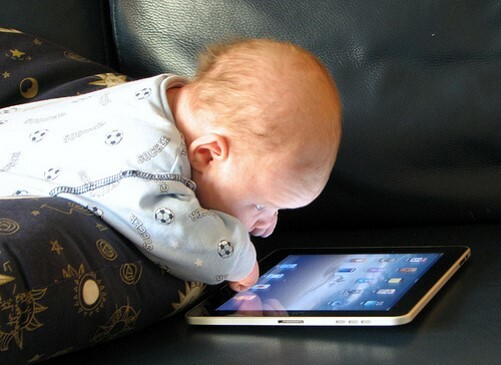 You may also need to develop some web programming skills. This is important because you may need to analyze website codes to look for broken links and other website related problems. However, if you are not able to develop these skills, you can engage a team of web developers who can do this for you. Once you have developed the skills needed to work in the SEO industry, you need to begin developing your brand. Come up with a name and description that will best cover your services. You may need to research some of the businesses in the industry so that you can create something original that identifies your internet marketing expertise. You brand should also carry a great logo that customers can easily associate with. You will also need a website where prospective customers can reach you to find out how to use your services. A website is a very important part of your SEO business as customers will use your website to measure how well you work. Having a website is also useful for displaying your past jobs and professional experience to prospective customers. Before you enter fully into the market, it is important that you use the skills you developed to rank your website as much as you can. You cannot expect customers to believe you can help their website rank better if your own does not. Your SEO business should be able to cater to most types of businesses and websites. But it is important however that you create a list of services so that customers can know what you do and what to expect from you. Do a research on the competition to find out the services they offer and their pricing scheme. This will help properly define the services you offer and the prices for each. You need to be careful when fixing your prices as this can have a two way effect on your business. Fixing your prices higher than your competitors can scare away potential customers who are small business owners. However, it can also attract larger companies who are comfortable with paying large sums for professional service. Likewise, fixing lower prices can attract a lot of small businesses your way while discouraging some large companies who rate quality of services by fees charged. Relationships are very important for any business to succeed. The number of people you connect with can determine that number of jobs you get. To succeed in your SEO business, you need to build up relationships with other players in the industry. Your network should include other SEO practitioners, website developers, graphic designers, content writers and business owners. You can use LinkedIn and Facebook to build up your professional network. Try to build these relationships as fast as you can and make sure you contribute to discussions. Relationships like these can push clients your way to help you build your portfolio. Not everyone has the time or inclination to go through the processes above. If you fall under this category, but want to build a career in the SEO industry, then you can consider using an SEO reseller service. These services handle every part of the SEO process on your behalf, and your only job would be to scout for clients and enjoy your profits. The advantage of a white label service is that even though you are not the SEO expert or involved in the SEO process, the business is to all intents you own as it carries your brand name and contact information. You get to fix your own prices, and will have access to every detail that you can forward to the client as if you are the one doing the job. SEO is a very competitive business and you need the right tools and skills to succeed in it. If you are reading this and plan on starting your own SEO business, I hope you find the steps above useful. 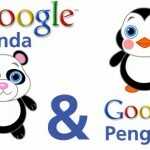 Google Panda & Penquin Leaving Your SEO Efforts A Mess? Why CMO’s Can Forget New Top-Level Domains?